I’ve read several books recently that would be filed under the “Christian Living” tag at your local bookstore. 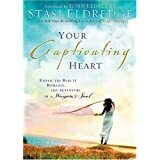 Your Captivating Heart was given to me several years ago by a dear friend. It’s always on my nightstand where I can turn to it for a few pages of inspiration. It’s full of wisdom and insight about women and why we are the way we are and it’s the way God created us to be. We express His love through our uniqueness. I love the reminders that I am exactly who God intended me to be. Victim of Grace by Robin Jones Gunn is an excellent read. I’m a big fan of Robin’s fiction and enjoy her non-fiction as well. Robin shares her journey as a daughter, friend, sister, mom, and wife, all with transparency. I loved walking with her through the various ways God meets us in our lives. I had the privilege of spending a few hours with Robin last March and receiving a word of encouragement from God through her. This book reinforced what she had shared with me. I heard God on every page, speaking through Robin. This one will join Your Captivating Heart on my nightstand. 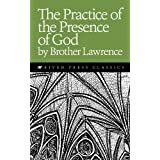 The Practice of the Presence of God has been on my to-read list for well over twenty years. I finally got around to it when one more friend told me I had to. Brother Lawrence was a Carmelite Brother in the 1600s who worked in the kitchen of the monastery. He disciplined himself constantly to remember that he everything he did and thought was in service to God. He believed (and lived out) that we are always in the presence of Jehovah-God. Whether we live in the city or the suburbs, work in a soup kitchen or on Wall Street, what we do has eternal significance in God’s plan. Brother Lawrence shows us that no matter our circumstances, our time in history, or our position, we can offer it to God as our service to Him. Because isn’t that what’s it all about, really? Serving God whole-heartedly wherever He has placed us.